Then what becomes very evident, even without doing additional research, is the cost of education has grown. It’s far outpaced the other expenses in life, so a cost of an education which might’ve been three or four months. Annual salary on average is now one point five times on average annual salary. The startup investment landscape is changing in world class companies are being built outside of Silicon Valley. We find them talk with them and discuss the upside of investing in them. Welcome to upside. Hello. Hello. Hello. 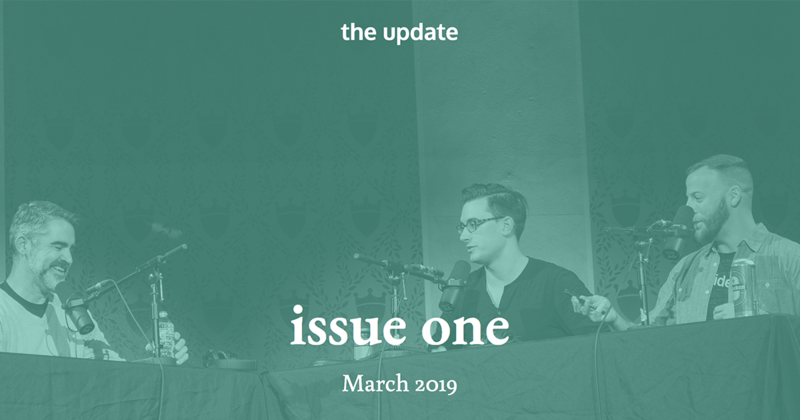 Welcome to the upside podcast, the podcast where we’re finding upside outside of Silicon Valley. I’m eric and I’m accompanied by my cohost, Mr. Lonely Cinco de Mayo himself. Jay Clouse. Hey, how’s it going man? What’s going on with you? I really don’t know if you were lonely or not, and I go to my own. I did a saw a p, a p, a instagram of a movie last night, so I assumed that you weren’t out and about. I was. I was lonely by choice. Watched a Romcom, an Amazon original called. What if with Daniel Radcliffe haven’t seen Daniel Radcliffe in a movie outside of Harry Potter, but he’s all grown up. He’s doing romcoms now and the woman from the big sick the movie who plays emily, forget her name as well. Pretty good movie. Not Bad. I was like, this isn’t bad. What rotten tomatoes get it? And they gave it like a 70, which is pretty much just not bad. Not Great, not bad. How was your second choice? I was also lonely by choice, but I was. I was studying all day. So that is, that’s both a choice and a mandate, I guess from the CFA gods. Well, the way we celebrate something good in my own America has nothing to do with the way Mexican culture celebrates. Cinco de Mayo, so it’s fine. Have you seen Coco by chance? I have. I saw it on a Delta Airlines flight. someday we’ll do remove movie review. This is, this is what I want. We are here to talk to founders outside of Silicon Valley. We fundamentally believe that it’s a great time to start a company outside of Silicon Valley and that there are fantastic companies and founders doing just that in the midwest and all around the country, so eric and I have a long history of talking to each other about startups and we said, why don’t we bring that to the people, make a podcast out of this. Give us a reason to go and talk to some of these founders and tell their story because we believe that they are intelligent capital efficient in some cases more resilient than there are Silicon Valley Valley counterparts. So that’s what the upside podcast is about with a little bit of a twist. We look at this through the lens of an early stage angel investor as well. Eric, can you talk about that? Yeah, of course. The first stage is Jay and I kinda talking through a couple, a little bit of the research we’ve done and the two or three main questions each of us has going into the interview. Then we’re going to deep dive into the interview which looks at the founder, the company and the market, and we’re going to ask a lot of questions to try to get a deeper understanding and you could find as a listener, a or audience member out there online and then finally we’re going to go into a debrief as her. Jay and I are going to look back at the research we’ve done in the interview we had and come up with an a idea of what this company looks like and what the opportunity looks like and we’ll get more into that when we get to the end. Jay, who are we going to talk to today? we love marketplace here on upside. Can you maybe talk us through. You said that there’s going to be some sort of 10 percent backend. What did you do find in your research that really kind of gets into this cost cutting idea? So the way that I’m reading it here is there are individual donors as well as institutions who are interested in creating scholarship funds for incoming college students. However, as a private funder, I don’t have the processes set up to be efficient in creating it, administering that grant, so kaleidoscope is sort of a white label solution for me to come in as a institution, as a private funder, create a scholarship program or even a scholarship competition and then a kaleidoscope handles, a lot of the application organization management, I think they even do some scoring so that I as a private donor don’t have to worry about doing all the scoring and all this compliance and doing all the outreach to find potential students. This is a way for kaleidoscope to help students get more access to more grant money in by unlocking this 10 percent of costs to what I understand, he thinks that there’s just a lot of waste. There’s a lot of money that goes towards administrative expense that could be going into the pockets of students and as we know, student loan debt is a big topic in the country right now because it’s really expensive. Eric, talk to me about your college experience. Did you take on student loans? putting myself back in the shoes of 18 year old Jay, I remember hating doing scholarship applications and there’s just no way that there’s ever been an easier opportunity to get money than high school scholarship applications and I just hated doing it. But if I could do a common app that would be amazing. Obviously I think that’s going to increase competition for those students because you have a lot of people now hitting the same access point for the. Exactly the same scholarships, but I don’t remember recall even doing anything online when I was doing scholarships, I think I was only doing paper applications that came to me from my counselor, my guidance department that really limited what I had available to me. So I think this could be really powerful for a lot of students, but again, it’s going to increase competition, which that’s something I kind of want to ask Greg about. His. Okay. Does this actually harm some students who, uh, you know now are facing tougher competition? Maybe there’s some socioeconomic problems there. I’m also curious what the model is. I found a little bit of information I’d be interested to hear if you found something from your research about what the model is of kaleidoscope. I’m assuming that it’s the private funder that’s paying for this and it’s going to be free for students just given the way that I think greg leans towards helping students here, but did you find anything on that front? I didn’t find anything, but I did have a similar feel from reading through the website, watching a couple of videos that kind of introduced the topic. I don’t feel like it’s going be something that students are gonna have to pay a subscription for or anything like that. I did want to get back to one comment that you just made real quickly. That’s about competition and I think for generalized scholarships, that’s probably true. The competition is going to get really, really intense, but in the tales I think you’re. This company could lead to fatter tails and what I mean by that is if you have a very specific set of circumstances. Previously it was too expensive as a scholarship administrator to find someone who played the guitar, was an ROTC member, was African American, had a single mother like all of these different credentials, but now you might be because you could only find maybe two or three of them, but now you could probably find it if there’s enough students and enough mass on this, hundreds of people that fit that exact same category that would have never heard about your opportunity before. Totally. It seems like a big market. I saw a number of $72,000,000,000 in the higher education market. You know, marketplaces are really attractive at a level of scale and so this looks awesome at a level of scale, but the way that this business is set up and who it’s serving, its really exciting on an individual level. You know, you’re effecting individuals who may be first time college students that can change families, that can change generations. It’s really cool to think about that from an individual level because 20.4 million students enrolled in college in 2017. If you increase that number, that’s you know, that could be big for the country, it could be a big for the world you have, you have these new individuals going to college that never would have had a chance otherwise in the cost of student loans. The cost of tuition. I got some numbers on this also kind of staggering now I don’t even want to know. So Greg’s from Minnesota, so I looked at Minnesota in 2015, 70 percent of Minnesota college graduates had student debt that averaged almost $32,000 nationally. The annual cost of college tuition fees, room and board was $20,000 at a public four year university with instate tuition. So it’s expensive. You know you’re going to four year college at 20 grand a year. This is $80,000 and people don’t have that laying around. They’re going and getting scholarships. That’s still a lot of scholarship money to fill. It’s kind of staggering. It’s. It’s crazy. One thing that I’m really curious about is the kind of breakdown of on the, on the supply side of scholarships. It seems like this is geared towards individual investors who maybe are two or sorry, individual scholarship providers who are maybe too small to have their own like kind of shop, right where they’re processing applications. They have people dedicated to this and I wonder what percentage of that overall $72,000,000,000 market that makes up versus what percentage is tucked away in nooks and crannies of schools. You and I went to Ohio state and I. It is so hard to find scholarships that you’re eligible for that are hidden in different departments, whether it’s the entrepreneurship department or the Engineering Department or maybe there’s a business journalism department that you didn’t even know existed. Is there an opportunity there to expand and maybe there’s a whole host of challenges that go into cutting any jobs in higher ed because that’s what it sounds like this would do to me, but is there an. Is there an expansion there and how big is the market really when we’re just looking at individual scholarship providers? I think what part of what you may be asking is, is this creating a bigger pie? That’s sort of what you’re asking. I am asking that from a student’s perspective, but I’m also asking, can this product take over the scholarship admissions departments that. Let’s just look at Ohio state because we know it well. Fisher has probably two to three people that work almost exclusively on administering scholarships and you can assume that across most colleges, right, so the cost of their salary and the cost of everything that they do in the cost of marketing, those scholarships and the cost of all getting those scholarships, if that can be aggregated and centralized on a platform that only permission to Ohio state students could get into or permission Fisher students or permission, whatever. Is this a backend solution for larger institutions as well down the road? I’m kind kinda thinking maybe five plus years because this is a notoriously slow moving space. That’s a great question. Yeah. From what I read, it seems like at this point it’s geared more towards the private funders and less towards institutions like colleges. You know, the example I saw of a campaign they ran was with talking rain beverage company. It could be that that company would have never done some sort of scholarship competition if they didn’t have sort of a turnkey solution for administering that. So yeah. I’m, I’m curious, what does a private funder look like, whether it’s an individual who’s trying to find a very specific person, maybe they have an affinity towards a very specific group of people or a type of upbringing. Could be these companies who were using it as a sort of social responsibility marketing play, but I think that’s a good question. If this is something that saves higher ed institutions, money and costs down the road, that becomes a, a potentially attractive market as well. All right, let’s do it. Greg, welcome to the show. Thanks for having me both Jay and Eric. Appreciate it. Looking forward to our conversation. What was Greg when he was younger? What was the, what was your entrepreneurial catalyst and then morph that into how, why kaleidoscope like, well, what was the impetus behind this idea? Yeah. Well, to take you a long ways back, I grew up in the Midwest. I grew up just north of Minneapolis and I grew up working on a small family farm and grew up in an entrepreneurial family. I have an identical twin brother actually, and both my identical twin and I are the only two in our entire extended family that I’ve ever actually worked for someone else. So I guess you could say that it’s been a 20 year venture to get back into entrepreneurial-ism, uh, something that I left having gone to college and, and taking a little bit more of a traditional route upon graduation to pay back student loans, ect. So my entrepreneurial passion and roots date back to the culture I grew up in at home. That’s really, this is really me getting back to those roots. And so it’s, uh, it’s something I feel really comfortable and more at home in than I ever felt in a very large corporation. The genesis of kaleidoscope really stemmed from my early childhood as well. When I was in junior high, my father was diagnosed with a terminal illness and my mother and father had to sell the small business that they had. They had a small home remodeling home decorating painting business, and they ended up having to sell that business as my father was diagnosed with ALS, which as you guys may be aware, is a fairly debilitating physical disease at the beginning. Fortunately that didn’t end up taking his life a cancer did later down the road, but it did cause significant acute financial hardship on our family. A family that had been, you know, up till then considered probably upper middle class by most standards in the United States. That of course changed our plans as a family quite significantly. Funds that had been set aside for our college education and future education obviously had to be used for other means such as medical bills, ect. We had to get gritty and resourceful and my brother and I started working full time at the age of 13 for my uncle on his small family businesses farm and had to start really thinking about and planning for our future. Fast forward, you know, my brother and I were both straight a students. We were really committed to our education. We were very involved in school activities, ect, and really wanted to pursue education beyond high school, but we did not have the financial needs to do so. So through lack of luck of birth and whatever mechanism or means you would you would describe. We found ourselves in a situation where we were unable to pursue an education that we wanted at that time I was lucky enough to have apply to a small private liberal arts school and in Colorado that ended up providing through private scholarships funds for my education, so I ended up getting enough scholarship dollars from private sources to help pay for my education and to go to undergraduate school and so did that and moved to Colorado and finish my degree. So I formed a very strong relationship with sponsors of scholarship programs at a young age because I was a recipient of that. You know that generosity provided me an opportunity that I may not have otherwise been able to get and contribute that education and knowledge back to society. Your family was an entrepreneurial family. Were you a first generation college student or did your parents go to university as well? you have this really crucible moment in, I believe it was your teens and because of that you have to adjust your lifestyle, your maybe way of thinking changes a little bit and for the next, I think you said 20 years or so you went down a more traditional path. What was the switch that kind of clicked that was like, you know what, I got to go and I got to give back. I got to get back to those roots, those entrepreneurial roots that are kind of like bubbling. How I made that transition and how that spark occurred was I happened to be working for a company called Ceridian based out of Minnesota. Actually. They just recently did an ipl last week or two weeks ago, a private equity firm out of Boston. Took them private back in 2010 and I ended up joining the leadership team at that time to help kind of move them into a new software direction, you know, from on Prem to cloud or sas based software. And loved my job there. It was absolutely fantastic and after a few years I had an opportunity to join an organization that was a nonprofit called scholarship America and I joined them to lead a division of theirs called scholarship management services and it was a bit of a serendipitous event because what they were doing was trying to grow this B to b business where they were working with private organizations to help them design, administer and launch these scholarship programs, to support kids that had been around for about 40 years, ect. They’re a nonprofit public charity five, zero one c three, and they have this earned revenue division which made up a large portion of their cash flow to help support their, their nonprofit mission. And so I had an opportunity to join that organization as the general manager of that division and senior vice president within the organization. I leapt at the chance. I thought I saw it as a chance to join a smaller organization with support from the CEO and the board to really build out and grow a division that we all saw value in in an area where I had been personally impacted and impacted in such a material way that I had a lot of passion to kind of get in, roll up my sleeves, and really try and grow a business. This was how many years post college graduation for you that this opportunity came around? At this point? It was, oh my gosh. I’m getting old Jay. I can’t even. Everything is 10 or 20 or 30 years for me now. Just measure measure in decades. which means it’s about 18 years. From when you started looking at colleges, what were the changes that you noticed from when you were applying to colleges and your opportunities and the cost of that versus now? Eighteen years down the line with students at that time? and looking at kaleidoscope and the problem it’s trying to solve how does it fit into that bigger problem and offer a solution? You know, right now that my perspective and our perspective at kaleidoscope is that among all of the financial mechanisms and solutions that exist today to help bridge that gap for students with financial need, you know, those solutions include student loans, government loans, and grant money and grants or scholarships are grants, dollars that do not have to be paid back. It’s my belief, and I am very passionate, believe this enough to put my own financial future behind this idea and this company that is kaleidoscope, is that the answer to the question, the modern answer to the question is the support that is driven by private markets, by private scholarship sponsors. Those are independent dollars that aren’t directed and driven by the universities which are businesses in and of themselves and they don’t create financial burden in the future that don’t give students choice. So two reasons why I personally love scholarships and believe there are a solution that we need to double down on. One, they promote student choice both for where they go to school and what they do afterschool. Having not been sacked with the burden of student loans, which means that these kids follow their passion, that they get educations and develop skills in fields that they’re passionate about and what does that mean for an economy? I mean, just be pragmatic. It means that they’re going to get into jobs that they want to be doing and they’re gonna give back to society by sharing their gifts and passions with the rest of us rather than us artificially getting in the way of that by second, these poor kids with debt and they just have to take two, three jobs because they don’t have any other choice. So pragmatically. That’s why I think it’s such a great solution. Even better for these companies and for the private sector. They have a lot of money and they have shown that they are willing to give it to these students to get them an education and but it’s an investment worth making millions of scholarships and billions of dollars filter through those scholarships go from large companies, brands that youtube both know Amazon, Mcdonald’s, Pepsico, Burger King, Wendy’s, Toyota. I could go on and your listeners would recognize. Most of these brands, they give money to students and it’s. If I were to venture a guess, it’s for a number of reasons. It’s to develop a great relationship with their communities that they have employees in. It’s to support dependent children and ease the burden, the financial burden for their employees, but hey look, I mean there is a huge gap in the skill sets needed in the future, so it is a really smart decision for these companies to disperse those funds to grow and take control of developing their future workforce. So think linkedin way earlier in the pipeline. Right. I would guess a couple of the same reasons as to why those brands, those large corporations would offer scholarships. At this point, I’m sure you’ve spoken to some of them personally. What is their draw to kaleidoscope? What is an actually before even talking about their draw Kaleidoscope, what is their draw to offering these scholarships? Are they saying it’s because they want to develop their communities or do some of them look at it as a little bit of like a social responsible marketing opportunity? What does that like for them? My personal opinion and and observing and having been intimately engaged in over 1500, 2000 scholarships is there’s been a shift in the thinking. I think initially if you go back 10 years, my perspective is a lot of it was driven by, you know, just socially the right thing to do. A lot of it was built in and driven out of community relations and corporate foundations with the intent of course, of staying close to communities that they do business and ect. Very Noble. I think over time it’s become. I’ve seen a shift in really seeing the value in helping support and drive outcomes with student education persistence, you know, providing scholarships that aren’t just one time but they’re renewable to help keep those kids in school that might otherwise dropout when unexpected expenses arise and degree attainment. That certificate that gives the company some belief that you’ve developed and the skills necessary to contribute back to that company and in the scholarship design. The addition of internships attached to the scholarships to get those kids on board at the corporations to begin working. And so I think those things I just mentioned are evidence that there’s a shift in the thinking and I think it’s a really positive shift. Whenever there’s an economic driver in our capitalist economy to do things, I think it will help us be successful. Speaking of economic drivers, I read in the Wall Street Journal the other week that though we’re at the lowest unemployment rate in however many years more companies than ever. Can’t find candidates to fill roles. There’s more open roles than ever as well. Or are you seeing companies try to slot these scholarships for those types of roles? For example, I know that software development is one area in this country. We don’t have a surplus of potential candidates and you have a tie to Chicago. I believe that IBM pretty much set up a high school to just develop people with technical skills from underprivileged areas. Is that kind of some thing that you see is like companies are kind of directionally focusing their scholarships? Yes, absolutely. Those. There are three ways that companies that that we’ve seen companies really focus. One is supporting dependent children, so supporting children of their current employees to help ease that burden, which a little bit like a benefit. The second is channeling funds into specific areas like stem, so supporting the actual skills that they see as a gap in the future, supporting the students that are interested in those types of engineering and mathematics courses and coupling those with internships, ect. The other is actually supporting kids in the local communities that they might do business. So an example of that might be, and I’m making this up so I’m not alluding to this being Pepsico’s program, but let’s say Coca Cola and Pepsico has a bottling plant in outside of Columbus, Ohio. They might be really interested in supporting that community because that community supports their, their company, ect, so they might develop programs to serve and support the children that live in those communities. Large family foundations often will follow that sort of design and really try to work to support kids in specific communities. Really going in and seeking out need based first generation students to get them into the, you know, in, into an educational setting and into the workforce. So I’m hearing that corporations are a customer, large family foundations are a customer. Are there any other private funders that you guys are seeing do or that are significant potential customers for you? Yeah. We work mostly with large corporations. We work with large corporate foundations. We work with family foundations and community foundations. We’ve begun getting a tremendous amount of support and interest from public school districts across the United States, so secondary schools and high net worth individuals. You know, what we see right now is most of our work is business to business software and working with these groups that I’ve just mentioned, but Jay, you touch on something that’s really important and aligned with our vision. Our vision is to lower the barrier of expense to start a scholarship program so low that it goes below expense being a barrier to launching a scholarship program, so it’s my belief that there are people that would launch a scholarship program that don’t today because the financial barrier to give away 10 grand doesn’t make it worth it. Would you give away $10,000 if it’s going to cost you a minimum of $5,000? Absolutely not. Now, what’d you do it? If you can go to the kaleidoscope website and actually create your own branded scholarship program for $25 a month and then posted it in our marketplace and get to students and to give that money away. Yes, we believe, I believe we could actually be part of a solution where we increase the net new number of scholarships each year. Now we’re on a path to get there over the next couple of years and we’re using our expertise and skill of working with larger organizations to help get us there. in general in any of your listeners out there that are considering starting a company, that business model is rooted in a two sided marketplace. Everyone is intimately familiar with the two sided marketplace. We all participate in them every single day. Lyft, Uber, Airbnb, Netflix, if you really want to stretch the idea, but we all participate in them. What’s challenging with this type of business model is, is figuring out where to start, which side, you know, I view it a little bit like a seesaw, right? You have to increase one side and then bring, you know, supply and demand puzzle that you have to solve and your go to market. Strategy is paramount and important to being successful. Personal belief and one of the challenges I have as an entrepreneur and launching a company with this type of business model is where do I start to help ensure success? It’s my belief that we have to have something of value to offer the students before we expand that side of the marketplace too aggressively. And so our focus right now is really working with the sponsors of scholarships in the private sector in offering a really cutting edge premium solution at a discounted price that allows them to give them more money to students. And so that’s where we’re started at kaleidoscope. Why they like working with us. And this is a earlier question Jay asked me that I didn’t answer yet, and I think it’s a really good one. The pain points in market are there. They’re painful enough that they’re willing to consider working with other or new providers like us, right? The reason is one, they really should be celebrating their brand. If you’re giving money to students, there is absolutely no reason why that student should be filling out a pdf online and mailing it in without knowing that it is you, Mcdonald’s giving away that money. So I believe that the pain today that they feel, which is at the exact moment, they could be developing a much deeper, richer relationship with students that they’re giving in some cases 20/$30,000 a year or two and a potential consumer of their product and a potential future employee that they’re missing that opportunity because a solution like kaleidoscope that really supports full brand engagement and brand identity through our white labeled platform is completely missed. So that’s number one. Number two, we make the scholarship application process very, very easy for students. We use what I like to call the uncommon APP, so you guys have heard of the the common application and admission to college. It’s a fairly popular solution, not as popular as most would, but in scholarships. It’s my belief that the diversity of students that want to be helped by these companies and by these foundations is what makes private scholarships so powerful. You know, leave this up to a common application where everyone gets rewarded for being the same, right? I mean, we can’t give one point $5,000,000 to all of the straight a students. That’s not the appropriate disbursement. So by creating a marketplace, celebrating what makes these scholarships unique and giving them modern tools to support that process is in my belief, a significant part of a future solution that’s going to be effective, right? And getting the most money to the most diverse range of students. Which brings me to students’ side of the marketplace. What you find is it’s not really difficult to get kids to come to a site where they might win money to help them pay for college. this, this may shock, this may shock you and your listeners, but it is not difficult by the way, the number one question I received from angel investors and venture capital firms is exactly what you just asked there. How do you get students, right? Because there’s the B to c component, which can sometimes involve significant marketing dollars, but the answer is we actually work with our clients, the sponsors to target the students that they want to reach and they typically have marketing machines and brands. So guess what, by celebrating Mcdonald’s brand and leveraging their brand, it’s a win for them. It’s a win for us and it’s a win for the students because it becomes very easy to attract students through their existing digital marketing channels. So that’s how we do it today. At some point we will focus more intently on the student’s side once our inventory of scholarships reaches a level, I believe is self sustaining in the marketplace. Looking into the business model, how does kaleidoscope make money? We are free for students. Students do not pay a cent. Uh, we believe that it’s silly to support need and a financial support and then charge students to seek it. Uh, just something feels not correct about that from a value proposition and just general value perspective. How we do make money is we charge a per application fee to our sponsors or clients or partners. So I’ll use an example if a large family foundation or a large corporation wants us to help them launch a scholarship program in the five regions across the US where they do business in 1500 high schools. This is actually a real case study of ours. We will do that and we will charge them $24 per application per year. That’s at a discount to market, but it’s a per application fee not per applicant fee, which is really important. Once a student applies for a scholarship or any program, they now have a profile that that student has built on kaleidoscope and we will help share other scholarship opportunities which with that student. Okay. This actually is a really interesting concept of our company and this is one of those things where when you launch a company, you need to leave some room for your startup to breathe because you’re going to discover things that are going to rock your world in a bad way and you’re going to also discover some things that are quite terrific, eyeopening and unplanned that are positive and one of those things is a lot of these scholarship sponsors applaud you providing other grant opportunities. Pepsico, Pepsico has given away a scholarship. They’re totally fine with people from Coca Cola getting those scholarships right, so they dropped the competition because everyone understands and knows that no single financial support mechanism is going to fulfill the entire financial need of any student. And so one of the unique things about us being a B to b sas based software company while also providing that market for them to interact with students in is we help their each individual program be that much more successful because we’re piling on and helping that student get more funds to help them reach outcomes and get degree attainment. per application, So let’s go back. Eighteen years. I think we decided it was when I was applying for college. You know if, if Greg Deh n is applying for one scholarship from the Greg Dehn Family Foundation and I’m also applying for the Wendy’s highschool, heisman kaleidoscope might be helping facilitate that interaction and facilitate an easier application process for me so that I can fill out more applications more easily because kaleidoscope is storing my previously answered questions in the uncommon app and so everything that I’ve done builds a profile and prefills all of my applicants. So. So I’ve applied for three scholarships. Kaleidoscope we’ll get $24 times three from just me, right, dean, so $72. The reason why I believe that’s a good thing is not only because it helps support the development and r and d dollars through good income and revenue and to build a good business. Look, we’re in the Midwest, in the Midwest. You have to turn a profit on your businesses so it helps us get there and that profitability helps funnel r and d back into building and innovating in this space on behalf of our clients. And so that’s. That’s why we do it. The second reason we do it is because that is very transparent, so it’s my belief that our pricing should be completely simplified and transparent for these sponsors, these sponsors, if we’re to empathize with them and really understand what they need to care about, it’s these people are giving away millions and billions of dollars and it’s very important for me to be able to tell them exactly how many of those dollars and what percentage of those dollars is actually ending up in the pocket of the student. It’s our goal and we guarantee this in our model that no more than five percent of total disbursement is going to go to us to pay for administrative fees. So our goal is to align with them and say our job is to maximize the amount of money that gets into the student’s pocket. Therefore like what we’re trying to do is bring a growth minded thinking and capitalist economic thinking to and applying for profit pressures to inherently drive efficiency in the disbursement of these dollars so that the most money can go back to kids. So a $50,000,000,000 a year has given away and we can shave five percent or decrease the expenses of that disbursement by, you know, five percent. Wow. That’s a ton of money. Every $50,000 as a full ride for some kid to a four year private liberal arts school. Right? So number one difference. I’m getting really long winded on you two here. I’m so sorry because I’m very passionate about this, but the number one difference. Price transparency. This is what you’re getting for every single cent you spend with us and hold us accountable to these outcomes. Guys, that’s it. Something I want to drill into that you just mentioned, and I’ve seen this in a couple of articles that you’ve been interviewed in this 10 percent of the total funds goes towards administering the scholarship itself at times and you just mentioned that if you can shave off five percent because you guys take no more than a total of five percent. Something else that you said a minute ago was if I’m Mcdonald’s, people should see my brand and not just be filling out this pdf. I’m really interested to hear what is the current reality for so many of these private funders. What does the administrative process look like? Whereas the expense driven and why don’t they have more brand visibility in that current process? asking, Let’s say, let’s say I’m Mcdonald’s and Pepsi Co to create a scholarship opportunity for students and I don’t know about kaleidoscope yet. What’s most likely for me? What’s the process going to look like for me if I don’t know about kaleidoscope? So right now, now of course, as any company, you know, our, our challenges is building brand awareness and building brand in market and um, you know, we’re using lots of different mechanisms to do that. But I think one of the biggest barriers for most of these organizations is number one, I mean, how many people really know how to launch a scholarship program? Not many. So have, you know, where I was going earlier, and just to connect back to my comment is a lot of the know how it was born in nonprofit foundations, ect. And so the really tough perspective is I might be the executive director of the Pepsico Foundation and I have to think to myself, I want to give away $5,000,000. I have no idea what the next step is I need to take. And so there aren’t a lot of options. There’s a lot of small organizations, so you might Google scholarship management and you might find organizations like scholarship America or others that will help you design and administer and launch that program. But what you’re not going to get, you know, a lot of these organizations and I believe correctly, so have developed solutions that are intended to drive you into their operational models. It allows them to keep their costs down and allows them to provide services to thousands of scholarship programs. But they’re really not using, in my opinion, modern technology to support a configurable, true cloud to celebrate what makes those programs unique and then bring them all together. And so what happens in that process, what’s inherent in that process is you start to lose the focus on your brand as you merge your needs and wants and original mission for that $5 million into a very common process, which largely includes maybe a nice looking landing page online followed by a pdf application you might fill out online or download and mail it in somewhere. Scholarships. Scholarships are actually far more complicated than most people can imagine. Although you might feel like it’s complicated to take money from one bank account and give it to a kid to pay for college, there’s a whole lot that goes on in the process. What you hear about in the news is the tip of the iceberg, but below the surface of the water are lots of people involved. There’s not only you know the irs is involved because they have to review and ensure a segregation of duties and certain conditions are met. So you can take a tax deduction. There are recommenders that are involved in filling out references and recommendations for applicants and there are review boards that are involved in reviewing and scoring. In some cases, tens of thousands of applications, so that process is very challenging and can be daunting and can prevent a lot of smaller businesses and organizations from ever even launching their program. So we make that process very easy. We’ve digitized the entire process. Keeping down that train of thought. I saw you guys did a campaign with talking rain beverage company. So can you walk me through the talking range beverage company experience of using kaleidoscope for their program? Yeah, that was a really fun program. Uh, we worked with talking rains marketing department and talking rain, if you, if you’re not familiar on your listeners may not be familiar with that name, but it’s. They have a beverage called sparkling ice, which is a zero calorie carbonated flavored water and it’s everywhere. You’ll find it in target stores, your local grocery stores, ect. And they partner with over 1500 high schools across the entire United States. And it was really important for talking rain to begin supporting students in the regions that they do business. And they gave away $25,000 this year. It was the very first program I believe they ever did, and so they needed an organization like kaleidoscope to help them walk through the entire end to end process of designing, building out the digital media marketing, digitizing their program, and launching it into our marketplace to reach thousands of students, so they received, gosh, it must have been over 3000 applications for their program and kaleidoscope helped them build and manage that through the entire life cycle. How time intensive is that for your team? If you had 50 talking rains come in, is that super efficient or to go out and then market that to students on their behalf and manage that? Is that taking a lot of manpower from your team? No, it’s not. This is one of the reasons why we have so much fun working with these organizations is we’re basically bringing enterprise technology tool sets to small business ideas. Right? So think about a scholarship is even though some of these large companies support scholarships, they’re like small businesses, so these smaller projects which may not have a lot of capital behind them or investment behind them, we give them access access to enterprise costing tools at small company prices, right? Because we’re a cloud based solution. Kaleidoscope is built on the salesforce platform. What that means is that when talking rain comes to us and wants to reach 15, 16, 1700 high schools across the United States, that means that we go into our database of school counselors have 55,000 school counselors. We actually have developed because we leverage capabilities in the cloud with Amazon web services, with platforms like salesforce and we launched campaigns on their behalf that takes minutes to set up and we can target specific counselors. We can target those areas that they want to attract students and support very, very easily. Our competitors can’t do that. Kaleidoscope I mentioned earlier is a for profit company, but we are a public benefit corporation. So the number one metric we’re tracking right now is how many students we reach. So we track who are a student applicants, are where they are and what funds they’re receiving through our marketplace and through the work that we do with our sponsors and partners. So we track our social impact is really important for us to track on an annual basis in terms of running the business right now. Some of the important metrics that we have is a total disbursements. We track total disbursement. We track the percentage of our revenue based on that total disbursement to try and stay below a certain threshold to ensure that we’re putting pressure on ourselves to deliver to our clients. So that number is actually really important. And if any of my investors listen to this, they might shutter and then agree. So we watched gross margin very, very closely. We want to keep that healthy so we can support r and d, ect. Uh, but we also monitor that very closely because I believe in the longterm play here and the longterm play as if we can keep costs low to make this attractive and use technology to our advantage to keep our costs low and keep us competitive with healthy gross margins than we’re going to provide a longterm sustainable product that’s good for market and if it’s good for market will be able to build a solid, solid, long term healthy company. Can you define for our listeners and for me frankly, what a public benefit corporation is. A public benefit corporation, I believe is born out of a trend over the last 10 years, driven largely by the millennial culture or generation in terms of businesses that are focused on doing good while also doing business and the to the idea that the two should not be mutually exclusive, which is a shared belief by me. So companies that your listeners might be familiar with or purchase products from like toms or warby Parker, ect. A lot of those organizations were founded on a premise of giving back a portion to a social impact, ect. In concept that is a public benefit corporation or in many states a b corporation. We are a C corporation incorporated in the state of Delaware, but in the state of Delaware you can put a public benefit designation on that which largely there’s one key point I want to make for you and your listeners and that is it gives a founder, CEO, board and Management Team of accompany flexibility in our fiduciary responsibilities, duties of loyalty, duty of care to not only worry about maximizing shareholder return, but also making investments in social impact related to the existence of our company, so it gives you some flexibility to actually make investments that may not necessarily return immediately on investment. Whereas otherwise a shareholder could say you violated this fiduciary responsibility, so it essentially gives you, and this is very real from an execution perspective, it gives you some flexibility in your bylaws to actually focus on making money and doing good at the same time. our sales process. Right now, our average sales time is is about, I’d say eight to 10 weeks pretty fast for a b, two, b software sales cycle, but a lot of that is rooted in your. Often we’re talking very quickly to decision makers because we’re working with foundations and even corporate foundations, smaller teams, they’re doing good. They’re very passionate about what they do, so our sales cycle is fairly fast. About eight to 10 weeks. A majority of our product is sold in the demo. Once we get to a demonstration, we focus very heavily on actually creating branded prototypes which are actually, which is the real software for our customers. We want to show them that there’s not a lot of risk in the implementation and build that trust very early on and build that trust very quickly. So the sales process is really to get into a demonstration, into a collaboration as quickly as possible. Build that trust, show them what we can do and start to eliminate the fears of transitioning to a new provider or the pain it might take to actually launch a program. And then we move into the negotiation and closing phase. That’s what it looks like. right now? Um, are at, you know, averages range dramatically as you can imagine. Organizations give away millions of dollars. Others give away 10, $15,000 a year. The average. I think the way I might answer that question, Eric, is the average award per student, uh, right now is around just under $3,000 per student, which is a pretty nice number. I’ve seen that tick up over the years. So each student on average winds about $3,000. Most of our, you know, our clients on average giveaway about 150 to $200,000. So we have some really, really large customers and we have some really, really small customers. We lose money on the small clients, but that’s gonna change over time. As I mentioned earlier, our strategy is to democratize this a bit and over time the cloud based support, the same mechanism that gives me a $5,000,000,000 bunkered data center in the middle of Ohio, owned by Amazon for $100 a month is Instead of me spending 5 billion, that same business model concept is going to drive out cost and provide a lower, lower point of entry. Jay asked a really important business question earlier in terms of customer acquisition costs versus lifetime value of a contract, scholarships, you know, our goal is to develop really rich, deep relationships with our partners, therefore driving longterm value and sustainable relationships here over a year. So while we spend money upfront to develop those relationships and win the business, the lifetime value of our contracts, uh, is quite high compared to our customer acquisition costs. So here’s the metrics for all your investors that are listening, cac vs Ltv, um, is, you know, we’re at right now at about a one to 10 ratio, which is really a fun spot to be in. That’s great. I’m trying to do some back of the Napkin math here. You said that you don’t want the corporate funders to pay more than five percent of total disbursement. So if they’re paying $24 per application and let’s say the program is $200,000, that would work out to be no more than like 416 applications that you charge for that. Am i. Am I thinking about that the right way? I might have to do some back of the Napkin math on what you just said. Well, so here’s, here’s what I walked through. I said, okay, let’s let’s assume $200,000. Five percent of that would be 10,000 and so to Max out at $10,000 at $24 per application, that would be about 416 applications. Eric is the math guy. I’m not the math guy on this show. looking three to five years into the future, what are some of the goals of kaleidoscope? Where do you see this expanding past the initial business model that you’ve kind of laid out for us in this interview? if we can drive net new net new scholarships is going to be the big unknown here. That’s, that’s when we go from red ocean to blue ocean thinking in this business, right, is lowering the barrier to drive net new private dollars flowing in to help solve this financial issue. One question we had in the up front that we didn’t touch on here was do you see a time when institutions colleges become a customer of kaleidoscope or you fully focused on the private funder? Right now we’re completely focused on the private funder and on on high schools. We don’t focus on higher ed for a couple of very practical reasons. One is the acquisition cost and the time it takes to sell into a postsecondary institution is very, very great, so in terms of cost of capital deployment of our investment funds, I believe the right thing to do and the responsible thing to do is to focus on the private sector where we can move to drive impact much more quickly to support our business. Second, I don’t actually believe loans are dead and I believe that there are lots of different mechanisms that these postsecondary institutions are experts in deploying. Right? So they are very good at evaluating student applications. The financial aid departments work with admissions to make decisions on how to cobble together a scholarships and loans. That is a conversation that I don’t believe has a place for an organization like kaleidoscope at this time. Most of the relationships with postsecondary institutions and their donors is direct. They don’t manage open competition for those scholarship dollars. The choices are made in the financial aid and admissions departments. You can decide, your listeners can decide for themselves if that’s a good thing or a bad thing. I have no opinion other than that’s not an area that we want to try and influence behavior in at this time and our job number one is to help make every single private dollar and that much more impactful. that they can go to? Www.mykaleidoscope.com. Alright, Eric, we just talked to Greg Dean, the founder of Kaleidoscope and we’re entering the third segment of our show here are verbal hypothetical deal memo. Can you explain and remind our listeners what a deal memo is? We’re going to take the information that we learned from doing our third party independent review in the upfront and the information we gleaned from Greg in our interview to kind of come up with what we see in terms of potential upside for this company and this opportunity. What we see as some areas of caution, and this is really going to help us in six to 18 months as we look back and evaluate this deal and say, here is where we saw it going at that time. It helps us crystallize our thinking and it helps us, Chris, and it helps us communicate with, in this case, hypothetical investors. That’s right. If we are taking the lens of an angel investor or a vc, we’re going to meet with hundreds, thousands of entrepreneurs over the course of time and so while it’s fresh, we want to take notes of what did we like about this opportunity? What did we think about? What were some of the things that may cause some pause? It’s meant to make you smarter. We look back at these six, 18 months down the line and compare that to where the company is now and say, how are our instincts? What were the things that we’re thinking? And also if we did have lps, this is something that we would share with them on some periodic basis to say, hey, we met with kaleidoscope. Here’s what we thought about the opportunity. So that they can kind of get the cliff’s notes version and so in this section we are trying to answer four questions and we’re probably not going to speak to these explicitly, but sort of implicitly we’re trying to answer one, how committed is this founder two what are the founders chances of success in this business and in life because we believe that founders are generally lifelong founders. Three, what does winning look like in terms of revenue? In my return as an investor in for why has this founder chosen this business? Eric, I’ll put you on the spot here. After talking to Greg, what were some of the things that stuck out to you the most? Well, I think that when we look at a company or an opportunity, we really want to focus on the founder and being founder first. I think Greg’s story is so comprehensive. He had, this is crucible moment early in his life that changed the trajectory of his life and his career path and later in life it kind of came full circle, right? And he, he noticed that he saw that opportunity and he said, you know what? This was so important to me that I know it can be important to a million new people, which is his longterm goal, a million new scholarship opportunities, so he really has a deep grasp of the issue and it sounds like he was doing very well in the corporate world, so he didn’t. He didn’t need to go do this right, but he had an opportunity. He alluded to his, his opportunity cost and going down this path and making this bet, this longterm bet on himself and the company and the people that he will impact. I’m going to give a little bit of behind the curtain inside baseball to our listeners here. Eric and I took the intentional stance of saying, let’s start this episode by digging more into the founder before we go into talking about the company in this case, kaleidoscope, which I think brought about some really interesting insight and giving us more of that holistic longterm view of what was Greg’s experience, uh, going to college himself. And then how did that creep back into his life 20 years later and why that’s important to him? Because that was a question we had in the upfront is why, why this business, why greg and that information came kind of readily by focusing first on his story now also inside baseball. I think that got us into a little bit of a time crunch because I still have a lot of outstanding questions that we just simply didn’t have time to get to, but I agree with you. We did get a lot of information about greg, the founder talking to those questions of how committed is this founder and why has this founder chosen this business. I agree. I think that I have a ton more questions coming out of that, but I think a lot of them stem from the more understanding that we have. So this is us criticizing us and our process. Let’s turn back to understanding the opportunity that we just talked about. Jay, What was something that stood out to you? Well, there are a few times in this interview that we talked about his intentional decision to be a for profit company as opposed to a nonprofit company and that makes sense from a company that we’re looking at from an investment standpoint. There aren’t a lot of nonprofit companies that get institutional investment, maybe none and so glad to hear that he’s going to the for profit route. There were several times in the interview where he. He took the stance of, we believe it’s right to do this type of model or this policy when it comes to, let’s say, taking a maximum of five percent of disbursements. For example, we did some of that kind of back of the Napkin math. I didn’t believe that he will be cutting off number of applicants to an opportunity, but I do see the opportunity costs that they’re foregoing and not charging for every application because they would exceed that five percent total disbursement. But I I see where that makes some sense because in some world they could have thousands, tens of thousands of applicants for a single scholarship. At which point if they were charging $24 per application, all of that money would go towards the application fee. So I think there’s probably some evolution of that model to see is it $24 per application forever? Is it just, you know, right off the top, it’s five percent of disbursements. It’s probably just a little too early to have that completely dialed in, but as an investor, you know, I’m looking where is the line of making a good social impact and attracting these private funders and how can we continue to grow our margins in such a way that’s not at odds with that. I’m sure that’s going to be an evolution for kaleidoscope as they move forward. I completely agree. My, my biggest area of hesitancy would be, I think you said at the beginning that there’s $72, billion dollars in scholarships. That’s like the market size, right? So if they owned 100 percent of the market, every scholarship out there, their top line revenue could be at best three point $6,000,000,000. Like that’s, that’s the cap. Since they had that five percent line. and I don’t think that that market is too small or anything. That wasn’t my intention of that. My more. My intention is more you said at odds earlier and I think there could be a better job of aligning incentives in the business model and I know that Greg obviously works in this so he knows why they decided to go this $24 route. It’s under market. It gives them enough of a incremental costs to cover there. I believe you said capital lifetime values like 10 to one or something or one to 10. So to me though, the scalable side, the side where you could get really big is the student side, right? The applications. So I’m not saying this is how it should be, but if it was something like $18 per applicant up to five percent and then twenty cents per applicant or something that wasn’t kept, that seems to align both the market, both sides of the marketplace a little bit better. That’s interesting. Yeah. I’m really interested. I would love to talk to one of the customers of this product and hear what they have to say about it because it sounds like there’s a real pain for them in terms of if they wanted to actually do this, they have to know compliance. They have to know best processes for getting it out into the market and that could be someone on their team that’s, you know, they don’t have the experience so they’re spending more time trying to figure this out, which is just costing the company money. This is what I kind of concluded this 10 percent of state cost savings comes from is somebody who’s not traditionally meant to administer something like this is spending their time figuring that out and that can be expensive. So I get that. It’s exciting to me that the sales cycle to these these companies is eight to 10 weeks. That’s a lot shorter than I would’ve expected and that’s, that’s promising to and that not only speaks to how quickly they can turn things around, but if the sales cycle is eight to 10 weeks, it speaks to how much that customer wants the product. They’re not him hauling around there saying, Yep, this solves the problem. We get it, we want it, and we’re turning it around pretty quickly. I agree, and being a little nitpicky on business model does not mean that I do not think that this is solving a problem in solving a problem in a drastic way. I do think that the problem that they are facing is real and it’s substansive because if it did cost you $5,000 to launch a $10,000 scholarship, that pie might be a lot smaller than it actually could be. Totally it. He could be saying, you know this the stated goal of a billion dollars of additional scholarship money going into the ecosystem. You may find that he hits his stride and they solve that in two years and they say, oh, actually the ceiling here is 10 billion, 50 billion. That speaks a little bit indirectly to what does winning look like in terms of revenue in my return. That’s where our head head is there. He seems committed. It’s clear to me that this is something he’s very passionate about. He used the word passion several times. What do you think? Any other thoughts on Greg himself? So something that came out. Was that his. We didn’t talk about this in the interview, so I wanted to let the listeners kind of like little behind the scenes. One question we wanted to ask was how big is the team, because they just went through an accelerator. They have raised some angel funding but we didn’t really have a good sense of that in the interview. So for the audience, the team is seven people and I think that that’s really important because you want to kind of get a sense of what’s that back end costs look like and I I thought in the five to 10 range is probably where he would be from our interview. So it’s pretty cool that it was at seven. Looking at other Kpis, what were some of the interesting numbers that you saw? Jay? Total disbursements is something that he said he’s really tracking, which I think makes some sense percentage of revenue based on total disbursement. I’m not quite sure what he meant by that. Can you spell that out for me? Percentage of revenue based on total disbursement. Yeah. So my understanding was that they have this five percent Max. Right? But you mentioned in the interview that they have a different goal, a smaller number. I’m guessing so something maybe like three point eight percent is what they want to be at. Five percent just happens to be the Max for any given campaign. So that number is really important to them because the lower they can get that, the easier it is to sell to larger and larger clients, right? If we, they can say yes, we have a max cap of five, but our average is actually two point six. Where that is interesting to me is that when you tell someone that it’s lower than your Max, that means the demand side of your business for any given scholarship campaign is lower than the cap. So if you had, the matthew used in the interview was a $200,000 scholarship and you had 416 people apply, well then you’d be at your five percent, but if you only had 300 people apply and you’d be less and if you had more you’d still be at your five percent. So that gets into the discussion of quality of candidates and breadth of candidates for a potential campaign launcher. can go through that with salesforce. One thing that I was a little curious that didn’t get mentioned as a key performance indicator which for our audiences, when we say key KPI, key performance indicator retention as a scholarship, and maybe this is our fault for not asking the question, but if you have a scholarship, usually they’re set up in some sort of fun that is launched in perpetuity or for a given number of years. Retention to me seems to be very important if you you spend the money, you bring in an account and then they’re going to set up some sort of scholarship fund where every year they give away a $10,000 scholarship to x, Y, and z type of student. Once they come onto the platform, what’s retention look like? Are they ever leaving? They come on and they’re like, this is the best thing ever. So I was really curious why retention wasn’t mentioned and if a lot of these scholarships that they are currently recruiting are one offs. Scholarships. That’s a little bit different of a business model in my view. That’s interesting. Yeah, I was. I was wondering how many reoccurring campaigns happen. My guess is family foundations, corporate foundations probably operate in the way that you’re describing a talking rain beverage company may not. They may be looking that as more one off, but that doesn’t mean that it’s one and done. It’s more just ad hoc and, and maybe they do it every couple of years or maybe they changed the format from time to time. I think a little bit of that, it’s probably embedded in the CAC vs LTV calculation to say we at least know that the lifetime of this customer is 10 times the cost that is requiring us to acquire them. And again, this company was founded in 2016, so it’s only got two years of, of history to even look at Ltv. Some of that’s probably still an assumption, but I think that if that can do to be the case, if they increase LTV, that probably speaks to retention and uh, yeah, I think it’s. I think that’s a good call. That’s a good question. Looking at kaleidoscope and looking at Greg is the founder. If we look back at this company in six to 18 months, what would you want to look at as like, this is where I want to focus to understand the health of this company. I want to see how many companies are onboarding? How quickly is that? Six to 10 weeks timeframe or eight to 10 weeks timeframe still holding? How many reoccurring campaigns are they doing? I think disbursements is a good metric, I think. Okay. If if the percentage is not five percent of total disbursements, what is that percentage? Something else that happened in the interview a lot and I think it’s a mannerism thing and not a lack of understanding thing. Greg used the phrase I believe a lot. I was interested in hearing what is the actual feedback from the customers? What are you finding to be true? So six to 18 months. I want to have a lot of certainty and changing a lot of I believe two, this is what we know. This is what we’re seeing in the marketplace. How about you? Six to 18 months, what do you got? thats interesting and begs the question we didn’t ask, which is are all of these campaigns sort of seasonal, is it when the student is about to go to college, is it, are these things open to students of all grade levels at all times during the year? Because for one you’re going to have to look at cohort analysis to say, okay, these students really only are relevant on our platform as a potential monthly active user for a four year period or if it’s not throughout the lifespan of the student going to college. If it’s really for incoming freshmen that’s even less so. They’re constantly creating new customers or students, users and I don’t think they necessarily have a difficult time doing that. If they were close to some of the individuals who talk to students at schools, you know, you get into the guidance counselor offices at high school and they, they tell you, okay, if you’re applying to colleges, here’s an application to use. I think that’s easy to, you know, find some efficiencies in that process down the line. I do that selling to high schools is really tough because they’re not tech savvy. They are not on top of things. They’re highly fragmented. It’s a slow process to go to them, but again, like he said, I can’t think it’s difficult to make a value proposition to a customer for free money. You know, it’s, it’s definitely difficult to do anything B to c, but when your value prop isn’t just utility the way that a lot of b to c companies are, but it’s we’re going to give you money that’s pretty compelling and probably spreads pretty quickly by word of mouth. All right, Eric, last question here on Greg. From Kaleidoscope, what are you looking for six to 18 months from now From Kaleidoscope? I think that there’s one number that I would probably focus on and that is their total fees as a percentage of campaign revenues, race, so they have that cap at five percent and right now it’s below that. Since it’s below that, I have to infer that that means their student side or the demand side of the marketplace is a little bit lower than maybe would be ideal or another way to say it is at this point, supply is higher than demand on the platform, so I’d want to know a little bit more about the demand side. I would like to know how many students are joining. I would like to know how these opportunities are being marketed and how effective they are because for a scholarship you want the most breadth possible to get the student who deserves it the best because this is a long tail kind of business, so that’s. That’s the number I would focus on if I had to focus on one number, something else that I would like to kind of hear a little bit more about and how it developed and I have a feeling that you’re going to talk about the supply side here. Just knowing how much you love supply side and markets, so this might be a nice little transition. Is the business model itself. I’m very curious about how it gets refined over time. I’m curious to see is this $24 model going to stick or is there going to be some sort of variable pricing that it gets put into there? How does the cap work in terms of letting the company expand or incentivizing the company to expand? So that’s. Those are the two things I would be curious to see more of. What’s that percentage and then how is the underlying business model evolving over time? What about you? I’m on board with that. I would like to see. I think it will evolve early on in a company you have assumptions that change and so it’s just, it’s just natural, right? So what does that evolve to? The $24 per application per year is one model. Something that you said previously was what if that was not $24 per application but $12 per application for the company and then some nominal fee per applicant and I know greg doesn’t want charge. The students are they users of the platform, so that may not be there, but you know there, there does need to be some sort of incentive and aligning of incentives to see how this business becomes much larger. How this opportunity in this market becomes larger if you’re looking for institutional capital, right. I think the math we did was if the total market for scholarships with $72,000,000,000 and they have five percent cap, that’ll be three point $6,000,000,000 if they capture the whole market and even if you look at adding more to the Pi, which is a stated goal of Greg’s, is that bigger pie still big enough to sustain some level of institutional investment and maybe it’s not. Maybe it is, but not every business needs institutional investment. It’s clearly a problem. It’s clearly an opportunity that’s solving real problems for real people and that’s super needed. That’s what the country needs. That’s what the world needs is saying, okay, we realize there’s a problem in education. My $14,000 tuition from 1993 is now $48,000 in 2012 at the same place. That’s a huge problem, so you know, I, I’m looking six to 18 months from now, what does the market look like for scholarships and how does the kaleidoscope model fit within that in such a way that it aligns incentives of all the players and doesn’t cap out kaleidoscopes own earning potential? Yeah. I’m excited for them because I love their goal about a million new scholarship opportunities. It’s amazing. It’s audacious and I love it and I’m really looking forward to seeing to hearing back from them in six to 18 months. All right, that’s all for this week. We’d love to hear your thoughts. 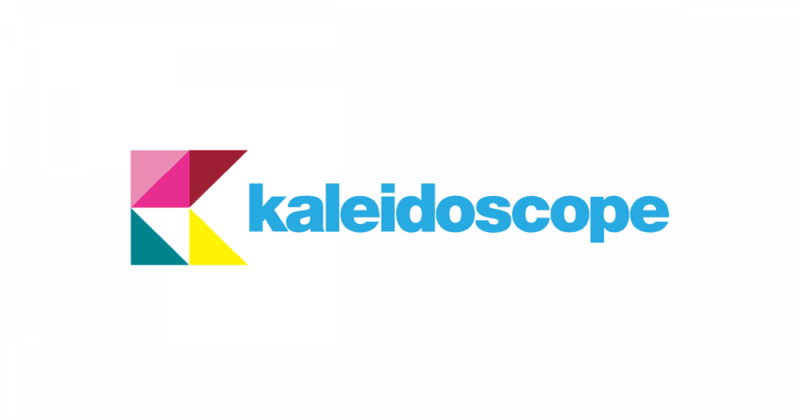 Let us know what you think of kaleidoscope and what you think about this market. Anything we missed, feel free to just say hello. You can tweet at us at @upside.fm or email us hello@upside.FM, and of course if you enjoy this show, please leave us a rating or review on itunes. That helps us a lot to bring high quality guests to the show. Eric, I’ll talk to you next week. That’s all for this week. Thanks for listening. We’d love to hear your thoughts on today’s guest, so shoot us an email at hello@upside.FM, or find us on twitter @upside. FM will be back here next week at the same time talking to another founder and our quest to find upside outside of Silicon Valley. If you or someone you know would make a good guest for our show, please email us or find us on twitter and let us know and if you love our show, please leave us a review on itunes. That goes a long way in helping us spread the word and continue to help bring high quality guests to the show. Eric and I decided there were a couple of things we wanted to share with you at the end of the podcast and so here we go, Eric Hornung and j Klaus or the founding parties of the upside podcast. At the time of this recording, we do not own equity or other financial interest in the companies which appear on this show. All opinions expressed by podcasts. Participants are solely their own opinions and do not reflect the opinions of Duff and Phelps Llc. And Its affiliates on your collective llc and its affiliates or any entity which employ us. This podcast is for informational purposes only and should not be relied upon as a basis for investment decisions. We have not considered your specific financial situation nor provided any investment advice on the show. Thanks for listening and we’ll talk to you next week. Kaleidoscope Group is a public benefit corporation that designs, administers and hosts private scholarships based in minneapolis, minnesota. the proprietary Kaleidoscope platform is used by private scholarship sponsors to host their branded scholarship websites and support their review and scoring processes; it is also used by thousands of students to access education funding in an easy-to-use “common app” that replicates a marketplace experience. clients include corporations, foundations and individuals. greg dehn is the founder and ceo of Kaleidoscope. most recently, he served as the board chair of Wilderness Inquiry, an organization dedicated to providing financial and guided support for wilderness experiences regardless of background or ability. previously, he served as a board director of eLumen, and as senior vice president and general manager, scholarship management services, Scholarship America. he has held numerous technology, service, product and general management roles with global organizations, including Boston Scientific, Medtronic, UnitedHealth Group and Target Corporation, and applies his energy today to creating access to education for others.